My favorite combination: vanilla pudding in the middle and chocolate sauce poured over the top. 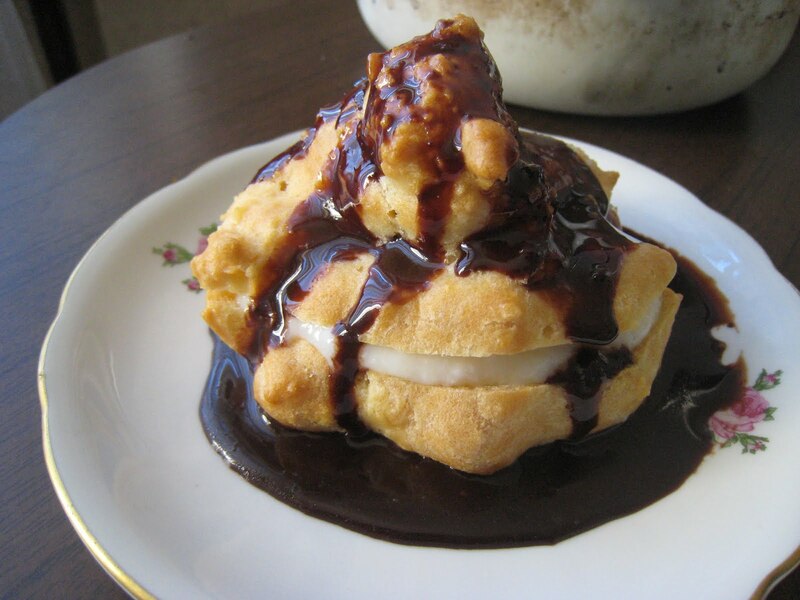 Profiteroles can be complicated, especially if you are making everything from scratch. But I don't think they take much longer than other homemade sweets, it's just that you have to multitask and pay attention. Again, the sauce/pudding filling could be made in advance. Or you could make the filling and sauce while the shells cool (which is what I did). 1) Bring water to a boil, add butter and stir, then return to a boil. 2) Add flour and salt all at once and stir until mixture forms a ball. 3) Remove from heat and add eggs, one at a time, stirring vigorously until smooth. *Here you are supposed to take them out, remove the center, and place in oven to cool. Mine were cooking too fast, so I turned it off earlier and just left them in there. I also didn't scoop out any of the center; I wanted to eat it all! 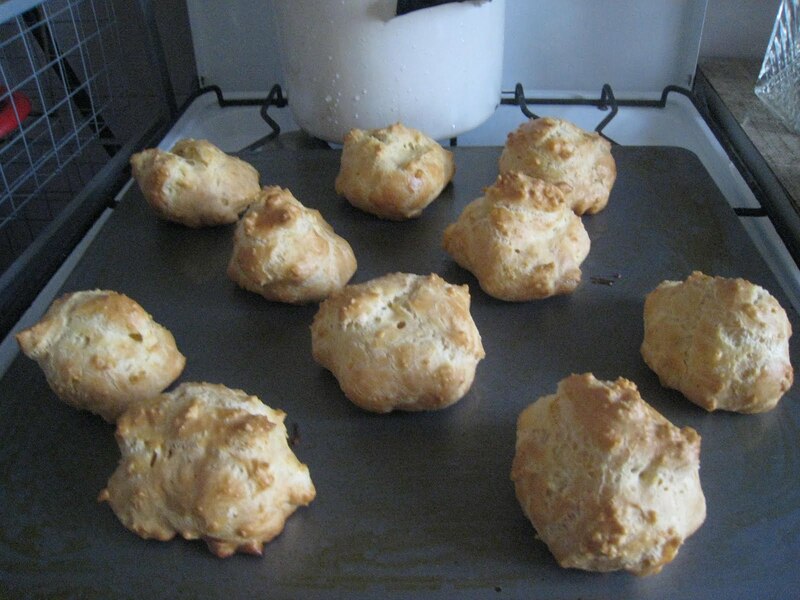 1) Combine sugar and flour/cornstarch in saucepan; stir in milk; cook and stir over medium heat until bubbly. 2) Cook and stir 2 minutes more. 3) Have the eggs or egg yolks beaten in a bowl. Gradually stir 1 cup of the milk mixture into the eggs. 4) Now pour the egg mixture into the saucepan with everything else, and bring to a gentle boil (egg yolks) or not quite to a boil (whole eggs). 5) Reduce heat; cook and stir for 2 minutes more; remove from heat and add butter and vanilla. *Mine came out lumpy, go figure. I guess the eggs weren't beaten enough, or something. Maybe that's why it's better to use just the yolks. 1) Bring cocoa, sugar, and water to a boil. 2) Remove from heat and add butter and vanilla.